Fiber cement siding is comprised of sand, cement and wood pulp. Wood pulp is where the problem lies. Fiber cement is prone to moisture absorption, and delamination. Everlast Siding does not have this problem. Everlast Siding is comprised of crushed stone and a proprietary polymeric resin, meaning there is no possibility of the collection of moisture in the product. Everlast Siding is designed to fit snugly against the home, providing further protection against problems with moisture. Another major difference between the two types of siding is that fiber cement siding has to be painted every ten years or so. Everlast does not have to be re-painted ever. A wide variety of colors are available. The reason is because Everlast Siding is factory colored through, providing a virtually maintenance free environment for the home. Debris may collect and the outside of the home may require powerwashing to remove small dirt particles, however, this is a normal aspect of homeownership and should be expected no matter the type of siding chosen. 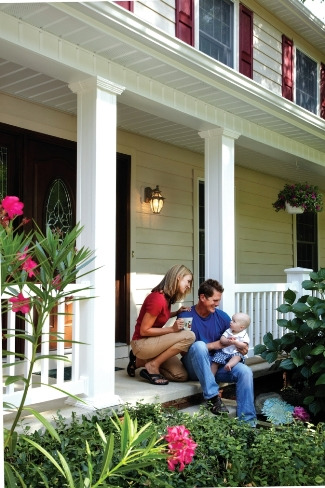 Everlast Composite Siding offers complete protection from moisture buildup or insect damage. The homeowner never has to be concerned with insect damage. Effects of termites or other such pests are unlikely with Everlast Siding. Everlast Siding overlaps preventing insects from nesting within the walls and prevents moisture seepage. The material that comprises Everlast Siding is also resistant to high heat and flames. Of all the worries of a homeowner, destruction by fire is perhaps the most frightening. 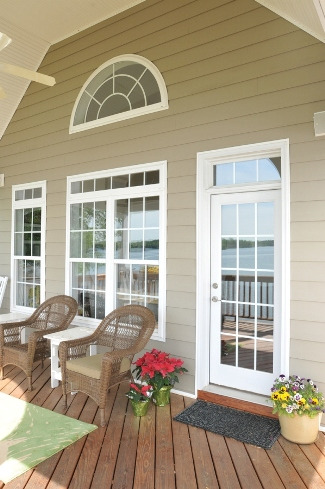 Everlast Siding is comprised of materials that have a Class-B fire rating. Most household siding comes with a warranty. Everlast Siding is warrantied for a lifetime (see complete warranty for details) And the warranty is fully transferable to a new owner. Everlast also comes with a fade protection warranty. Imagine the exterior of a home that is virtually maintenance-free and warrantied against wind, hail or storm damage for a lifetime. Whether living on the East, West, or Southern coast or in between, Everlast Siding is an excellent investment a homeowner can make in a home.